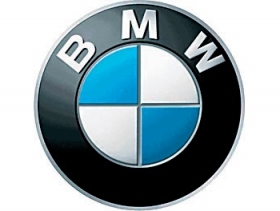 LAS VEGAS -- BMW plans to add touchscreen and gesture recognition to its next-generation iDrive human-machine interface. The enhanced technology is designed to increase the user friendliness of commands to operate navigation, infotainment and smartphones for the driver and front passenger. Rear passengers of large sedans and SUVs would get a tablet to command the infotainment and climate systems, as well as to control the positioning, heating and ventilation of their seats. The tablet, built by Samsung and based on the Android operating system, is called BMW Touch Command and also will permit users to surf the Web using the in-car Internet connection as well as using any Android-based app, BMW said. At a media event here Monday ahead of the Consumer Electronics Show, BMW said the new-generation iDrive and the Touch Command tablet will be available in one or two years. Nevertheless, most likely they will both debut by the end of the year on the new 7-series sedan. BMW uses a top-down approach to its technology innovations, and the 7 series is the company's flagship model. The new generation of iDrive will offer four interfaces for the user. The touchscreen panel and the gesture control functions supplement the traditional iDrive knob in the central console and voice recognition offered in the current system. “Smartphones and tablets changed the consumer behavior in interfacing with technology, and our future models should adapt to these new behaviors,” said Verena Reischl, an engineer working at the human-machine interface department of BMW’s FIZ research center in Munich. She added that focus groups showed a variety of user patterns and that none of these four interfaces will disappear from iDrive’s foreseeable future. Gesture-recognition technology is taking early steps into automobiles. The next-generation iDrive recognizes five gestures, but more could be added in future, Reischl said. The gesture control system, using a camera mounted under the roof, permits users to adjust audio volume or fan speed with by rotating a hand clockwise or counterclockwise. Pointing a finger straight toward the infotainment screen permits the user to accept a phone call, a text message or an email. Hand swiping horizontally will refuse a call, text message or email. Introduced in 2001 on the 7 series known as the E65 model, iDrive had various alterations over time to counteract criticism that it was not user-friendly. At launch, iDrive had just the turn knob and one button to call the system main menu on the screen. All the actions were performed turning and moving the knob in different directions. Over time, iDrive added a number of buttons around the knob to give direct access to menus and functions. The current generation has seven buttons in addition to the knob, permitting access directly to navigation, radio, media and phone, as well as getting to the general menu and to move back by one screen or command. The seven buttons will remain in the next-generation iDrive, Reischl said.